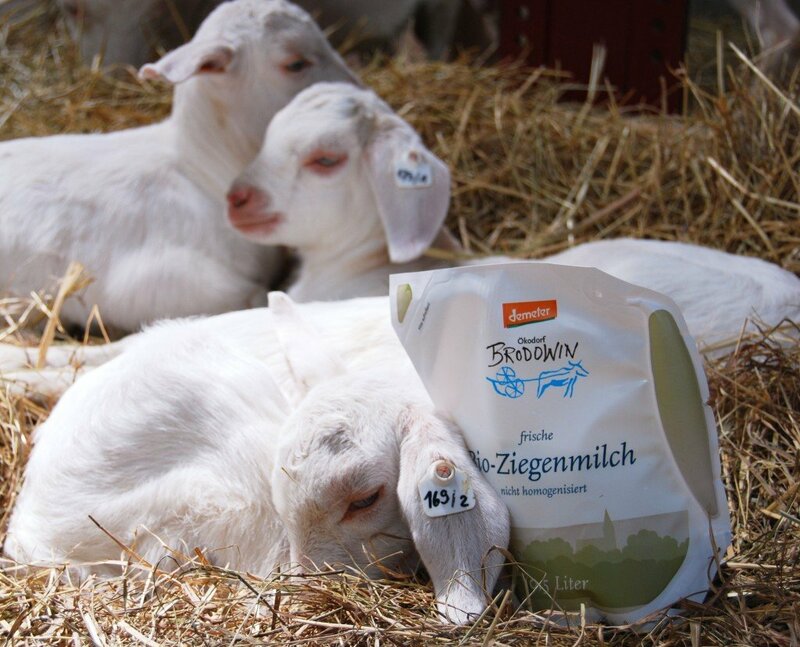 Even goat milk sceptics have confirmed the delicate, mild taste of Brodowin goats’ milk. We achieve this by processing the fresh milk immediately. Short transport routes are a matter of course for us: from the milking parlour to the dairy, it is a stone’s throw away. 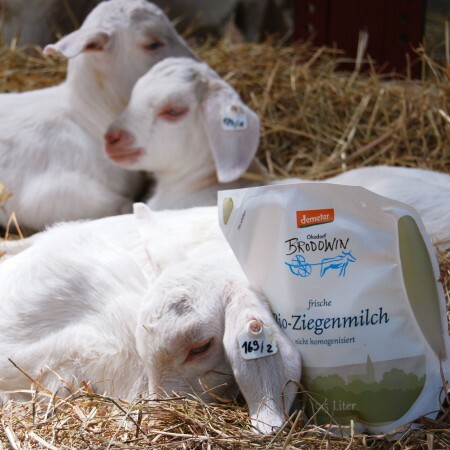 Goat’s milk is not a new discovery, as Hippocrates trusted in the healing powers of goat’s whey back in antiquity. Today’s science has been able to show a multitude of short and medium-chain fatty acids as well as particularly small fat globules in the “white gold”, which are said to improve digestibility. Since goat’s milk contains a different milk protein, it is also suitable for people allergic to cow’s milk. Important substances include vitamin D, A and niacin. Pregnant women should note that the milk contains only a small amount of folic acid and vitamin B12. 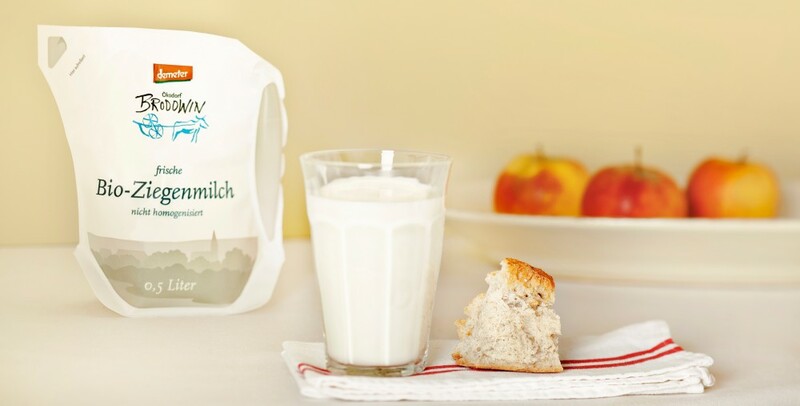 Our fresh Demeter goat’s milk is pasteurised, non-homogenised and has a natural fat content of at least 2.8%.